Two Chicks On Books: Exclusive Cover Reveal- THE CURE FOR DREAMING by Cat Winters and a Giveaway! Exclusive Cover Reveal- THE CURE FOR DREAMING by Cat Winters and a Giveaway! I am sooooooo excited!!!! Today I get the EXCLUSIVE cover reveal for THE CURE FOR DREAMING by Cat Winters releasing in October 14, 2014! I adored Cat's other book and am dying to get my hands on this one myself! Check out the gorgeous cover, synopsis, and enter to win an ARC! 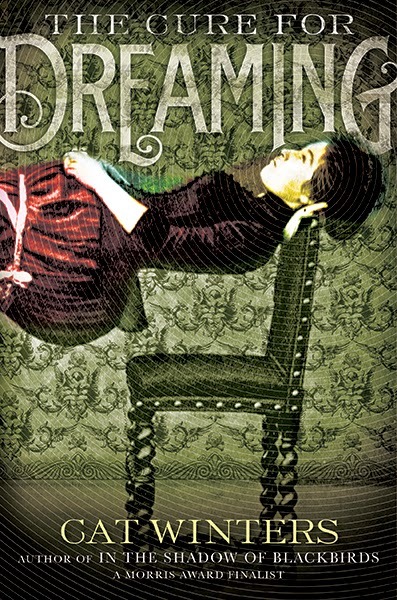 To create the cover for The Cure for Dreaming, the book’s designer, Maria T. Middleton, started with a black-and-white historical photograph of a young hypnotized woman—the same photo that served as my inspiration for the novel’s opening chapter. She then worked her magic on the image, added that gorgeous lettering, and the final result is vibrant, intriguing, very Victorian, slightly odd, and absolutely perfect for the story. Even more exciting are the cover’s hidden surprises. Look closely at that ornate wallpaper in the background, and you’ll catch hints about the novel’s darker side. See those swirls radiating from the girl’s head? On the final cover, they’ll turn into a hypnotizing special effect. And if you’re wondering what the girl’s feet are up to, you’ll need to wait until the full dust jacket becomes available. The young woman’s body will wrap around to the back of the book. I couldn’t be happier with Maria’s highly clever creation. Two winners will receive an advance reading copy of The Cure for Dreaming when the ARCs become available (approximately June 2014). Open internationally. Daughter would LOVE this, spooky she was discussing auras etc with me yesterday and about people being able to somehow see the true nature of people. Intrigued to read this now! This cover is even darker and more powerful, than shadow of the blackbirds! I CAN NOT wait to read this, so excited!!! "Even more exciting are the cover’s hidden surprises." Oh wow, that is very cool :D! Certainly grabbed my interest. Gorgeous cover. I'd hang that on my wall as artwork. The cover is intriguing, but I'm extremely interested in getting some fiction that brings suffragettes into the story! I feel like I know so little about this time in history. I would love to win this! LOVED Blackbirds. That cover is creepy and awesome! I loves In the Shadow of Blackbirds and so look forward to this book too! I cannot wait for this book. Loved Shadow of Blackbirds, and this cover is gorgeous! Ohh that cover! That synopsis! How could you not just fall instantly in love with something like that. this looks and sounds fantastic! I definitely want to read this series :) Thanks for sharing! Wow, what a unique cover! It's so different from everything else out there. I'm excited that we finally got to see it! This is SO FANTASTIC. Absolutely lovely and creepy and omg I cannot wait for this book to come out!! I absolutely love that cover! It's so spooky yet beautiful, and seems to perfectly fit the mood of the story. Oh wow! That cover is fantastic and so unique! It would totally draw my attention in a bookstore! And the book synopsis... I simply MUST read it! Suffagettes? Freedom to express yourself? I just HAVE to have it! What an original idea for the book and the cover is unbelievable! If I were walking through B&N, I would be drawn to this immediately! I love how peculiar looking yet so beautiful her covers are! In the Shadow of Blackbirds was creepy but hauntingly beautiful and so is this one! Congratulations, Cat! I can't wait to read this book! I love this cover! Can't wait to read it. I haven't read In the Shadow of Blackbirds yet. But that is due to a neverending TBR pile. Nonetheless, I can't wait to read this beauty as well. Oh goodness, I love it! ITSoB was one of my top reads last year...so excited to read this one and her next one, The Uninvited! I'm a fan for sure. Cat, a fabulous cover. I want to read it. I loved the Shadow of Blackbirds I can't wait to read her next book!! Ya historical fiction with magic powers involved.. I have a feeling I will love this! I don't think it could be anymore amazing! This cover and story description are the most intriguing I have seen in a long time. I don't think I have ever been as excited for a book as I am for this one, it will be an absolute delight to have it on my shelf. Congratulations one hundred times to Cat on her beautiful cover! Awesome reveal! Very intriguing cover! Loved meeting Cat at ALA! Lovely woman. Can't wait for the new book! Awesome cover! I love that they used the picture that inspired you as the cover, the levitating is awesomely creepy! Congratulations Cat! Wow! I am diggin' this dark and intriguing cover. The story sounds the same. Yea, I want this! Thanks for sharing! Going down in my TBR list right now! I'm so excited for this! I absolutely adored Blackbirds and I cannot wait for Cat's next offering. I can't wait to read this! Loved Blackbirds. Thank you for all of the excitement for both the cover and the book in general! And a huge thanks to Jaime for hosting the reveal and the giveaway over here! I'm extremely grateful. Omg. The cover is pure perfection! After reading In the shadow of blackbirds Cat Winters became my favorite author (yes, it influenced me that much) and I can't wait to get my hands on her new book the cure for dreaming. Hopefully I will love the character Olivia Mead as much as I loved Mary Shelley Black. Another fantastic book cover from Cat Winters! IN THE SHADOW OF BLACKBIRDS was so wonderful; I can't wait to read THE CURE FOR DREAMING. Congrats, Cat! Sounds like an amazing read and I love the cover!! I love the cover! I can't wait to read this book! I'm so excited for you, Cat! THE CURE FOR DREAMING looks amazing. What an intriguing cover - I'm a big fan of historical fiction and this one looks like it's going to be a hit! Loving that cover! Can't wait to read this one! I'm so excited for this! I loved In the Shadow of Blackbirds so much!! Cat, I'm thrilled to finally see this cover and it's GORGEOUS and STRANGE and MYSTERIOUS! I love it! 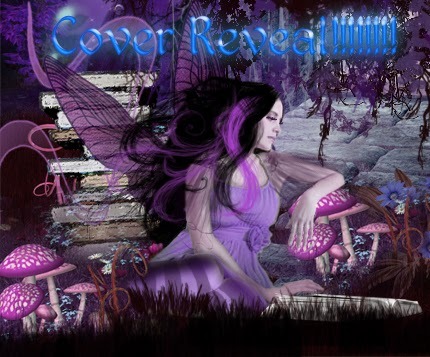 Thank you for the continued cover love! I also greatly appreciate the kind words about IN THE SHADOW OF BLACKBIRDS! I'm working on proofreading THE CURE FOR DREAMING right now, and I can tell you the interior design is just as stunning and creative as the cover. 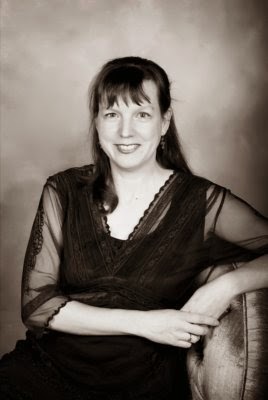 Maria T. Middleton, the book's designer, is extraordinarily talented. Wow, such a mesmerizing cover! I really love Cat Winters' choices of ideas to write about. They are the kinds of supernatural, historical fiction that I love to immerse myself in. This sounds like such a great look. Another great book to be read! Love the cover and can't wait to read it. This sounds so unique and fascinating! Loved IN THE SHADOW OF BLACKBIRDS - can't wait to Cat's next book! Yay! Yay! I'm so freaking excited that ARCs exist! This book is at the top of my gotta have it list! Can't wait! Oh my god I'm so excited!!! I've been stoked for this book since I found out it was being published. Yes yes yes! This book sounds amazing and super original. Thank you for the giveaway! So much love!! I am beyond thrilled to see the cover and enter for a chance to win (crosses fingers). I loved Cat's ItSoB so I'm confident I will love this as well. I loved IN THE SHADOW OF BLACKBIRDS so much! THE CURE FOR DREAMING is one of my most anticipated reads of 2014! I have been waiting for this release for ages and I'm so excited to see that everyone loves Cat's new book cover! It's just so creepingly amazing, LOVED In the Shadow of Blackbirds, so I'll pretty much read anything by Cat Winters now. The cover is so gorgeous! I loved In the Shadow of Blackbirds and can't wait to read this too. Oh, gosh! The cover for The Cure for Dreaming looks creepy! I want it! I already have In the Shadow of Blackbirds on one of my shelves. I like that the main character is independent in a story from that time period. The cover is unique and interesting! I love it! Wow, I didn't know this book and the author, but it looks really nice ! The cover is beautiful. Wow, I love it when book covers are a part of the story. It makes the book even more meaningful. This sounds fantastically creepy! You pick such interesting historical periods! I loved the setting for your first book, and I can't wait for your new one! Woah *shudders* that cover gave me the chills XD The book sounds brilliant, can't wait to grab a copy. YAY! Can’t wait for this :D love love LOVE In the Shadow of Blackbirds <3 Thanks for the amazing giveaway! Thank you so much for all of the wonderful responses to the cover and the synopsis. I can't wait to share this book with everyone this October. Reviewers: I've heard the ARC will likely show up on Netgalley by the end of May. Jaime: Thank you for hosting the cover reveal! I greatly appreciate your help!